As an organization grows the number of use cases the data center needs to support increases with it. What starts out as a NAS for file sharing, moves to a SAN for database applications, and then storage for data protection. As the organization hits full stride it might look at arching to limit growth and a mobility solution to support a distributed workforce. 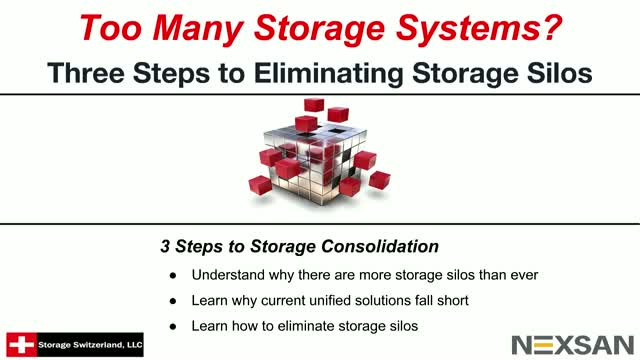 The problem is each one of these storage types are silo’ed and have to be implemented, operated and maintained separately. As a result, storage ends up consuming a large chunk of the IT budget.